" Brick Church in Historic Deerfield, MA - 1980. " 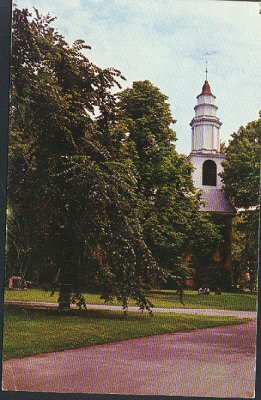 (1505) POSTCARD: Brick Church in Historic Deerfield, MA - 1980. -Condition: Good Plus.- Posted. Colored photos of church. Printed history on back of card. Also a handwritten message. The card was sent to Mr. and Mrs. James Doran in Camp Hill, PA. Price: $2.50 + shipping.